The Mortimer Cabin in Oak Lakes State Park near Bruce was recently placed in the National Register of Historic Places, according to the South Dakota State Historical Society. "South Dakota's history is rich in American Indian culture, pioneer life and change," said Jay D. Vogt, state historic preservation officer and director of the State Historical Society at the Cultural Heritage Center in Pierre. "Properties listed in the National Register are important for their role in South Dakota's culture, heritage and history. And when properties get listed, it shows that their owners take pride in their role in preserving that culture, heritage and history." Buildings, sites, structures and objects at least 50 years old possessing historical significance may qualify for the National Register, according to Vogt. Properties must also maintain their historic location, design, materials and association. Listing in the National Register does not place any limitations on private property owners by the federal government. 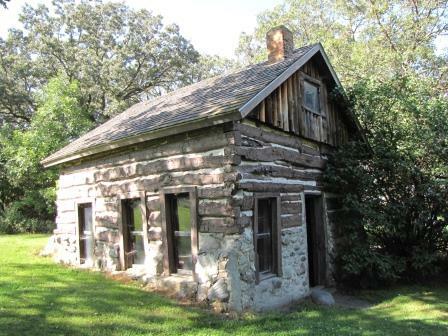 The log and stone Mortimer Cabin was built around 1869. It was listed in the National Register for its significance as reportedly the oldest structure in the region, for its traditional architecture and for its homesteading history. Samuel “Old Spot” Mortimer was a fur trapper and lumberman. He and his American Indian wife, whose name is unknown, moved from Fort Thompson to Oakwood Lakes when it was known to be a trapper’s paradise. It was also replete with timber. As the demand for logs grew, Mortimer started selling timber from his property. Mortimer did a brisk business operating a lime kiln and selling timber to other settlers. He played a major role in the construction of other homes and businesses in the area. The railroad’s decision not to pass through Oakwood sealed the town’s fate, possibly convincing Mortimer to move on. He sold out to Solomon Walters in 1886. Walters was in the wheat and lumber business, and the cabin remained in his family until foreclosure hit in 1934. The Omar Doops family purchased it and held onto it for about 10 years before selling out to the State of South Dakota in 1945. After acquiring other neighboring properties, the state park that exists today was created. Claim-era resources across the state are increasingly rare due to their poor condition and for their becoming functionally obsolete, Vogt noted. Log cabins in eastern South Dakota are particularly uncommon because timber existed only along streams and lakes during the homestead years, Vogt said, adding that only a few claim-era cabins built in eastern South Dakota remain, and even fewer remain on their original site.